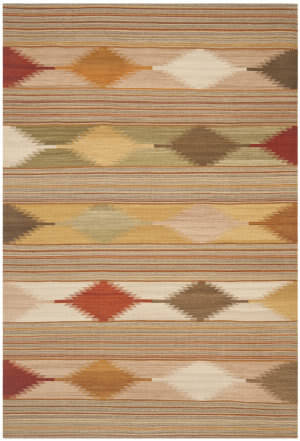 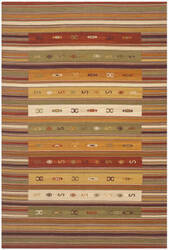 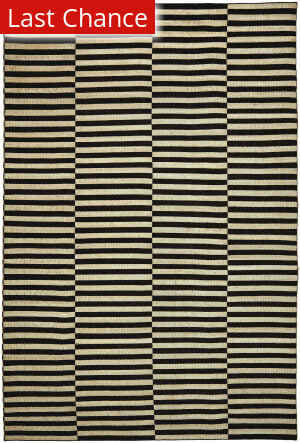 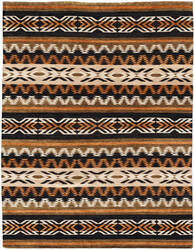 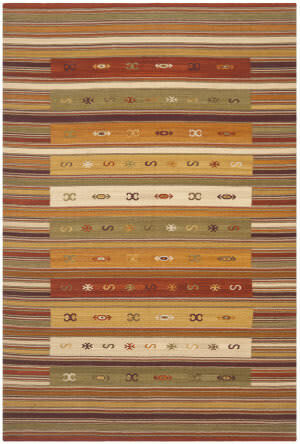 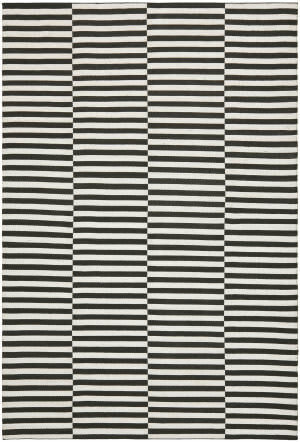 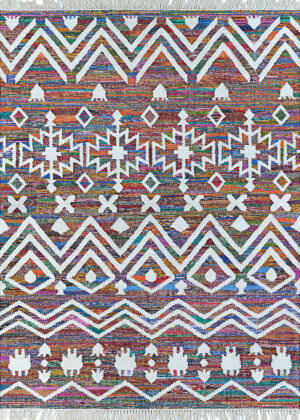 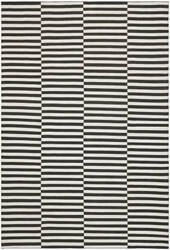 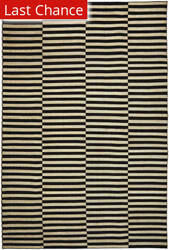 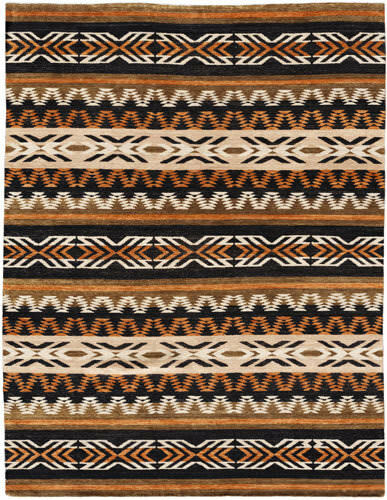 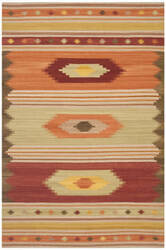 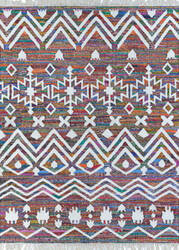 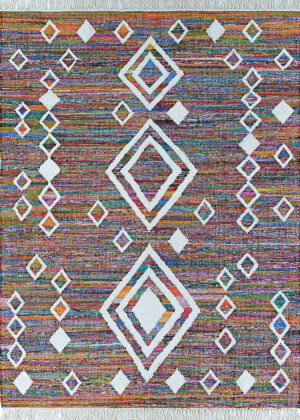 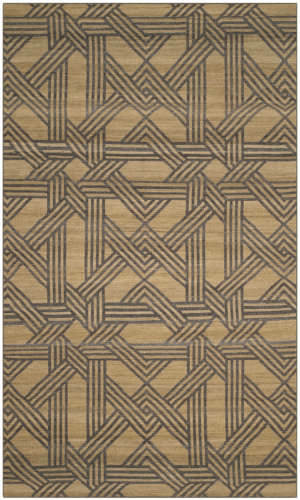 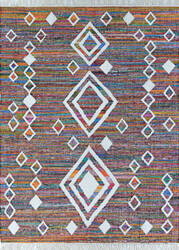 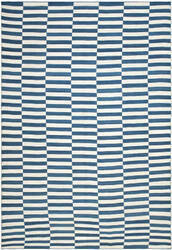 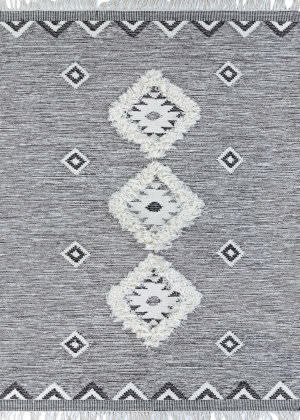 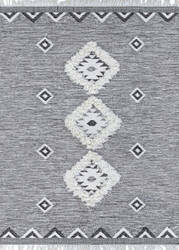 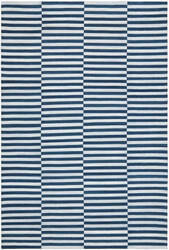 Based on the Chinle revival style of Navajo rugs, this design employs horizontal bands of plain stripes alternating with bands of geometric designs such as chevrons and diamonds. 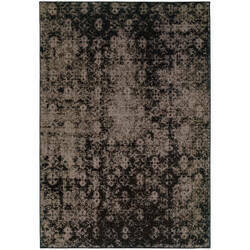 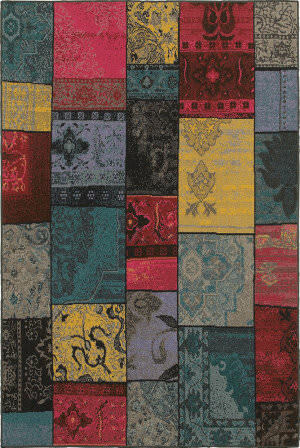 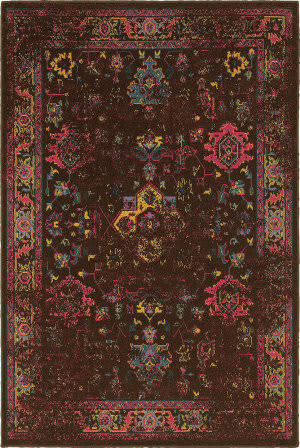 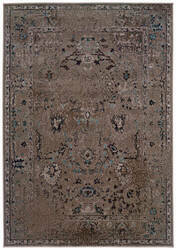 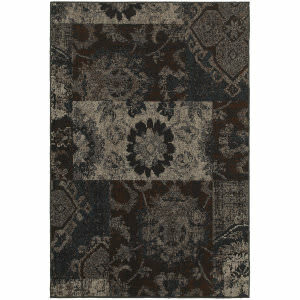 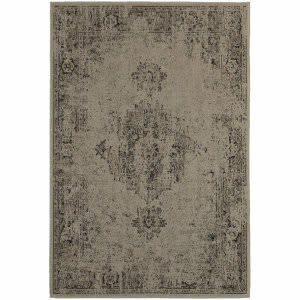 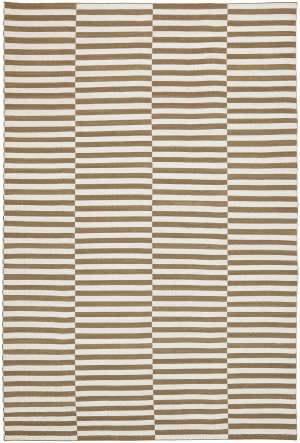 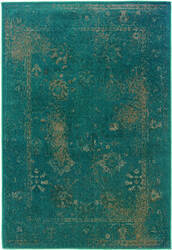 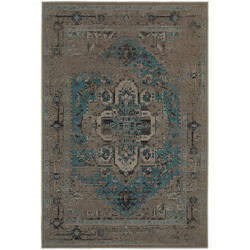 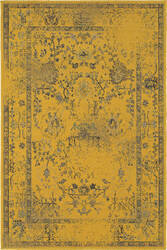 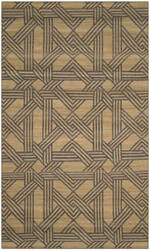 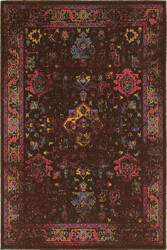 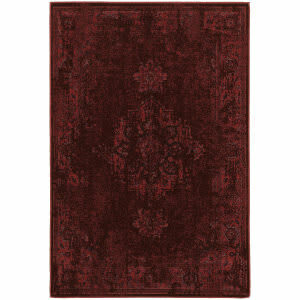 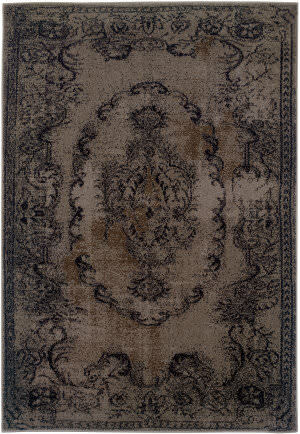 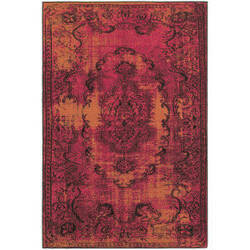 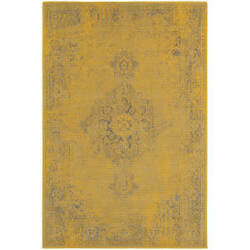 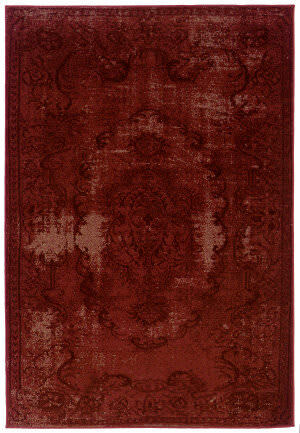 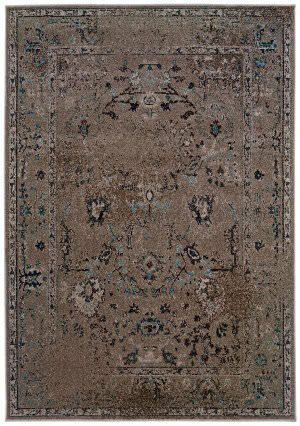 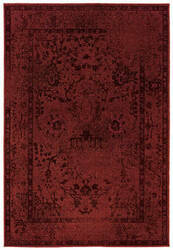 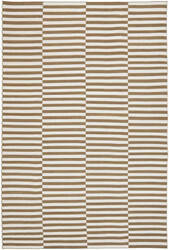 Rug in soft earth tones of brown, black, terra cotta and oatmeal. 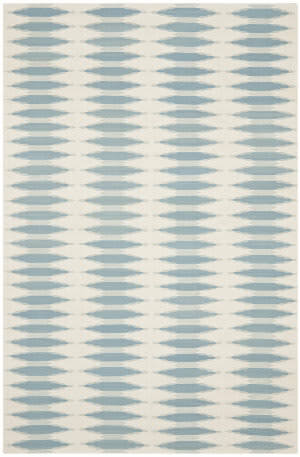 …city, suburban and coastal environments. 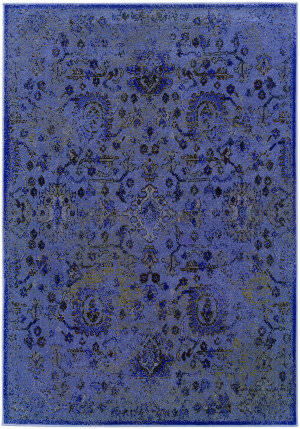 A rich, luxurious sheen is achieved by substituting traditionally course indigenous wools with a blend of banana silk and cotton. 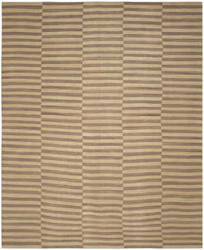 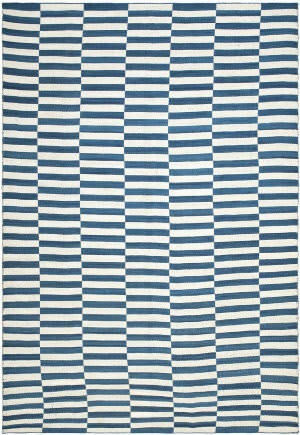 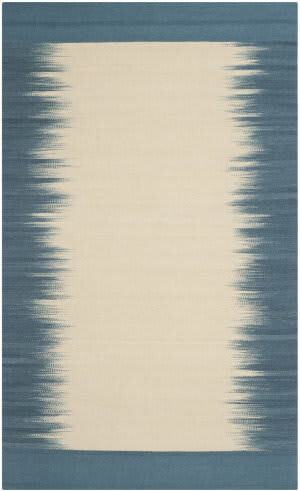 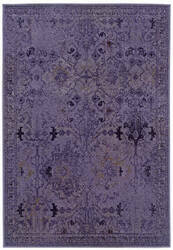 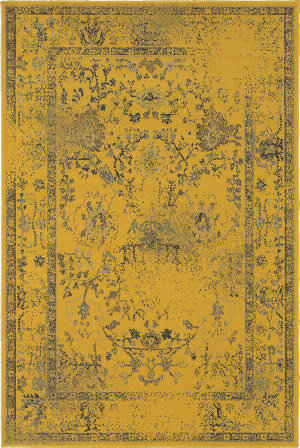 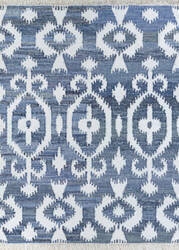 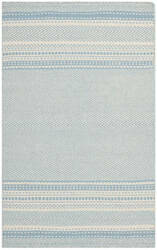 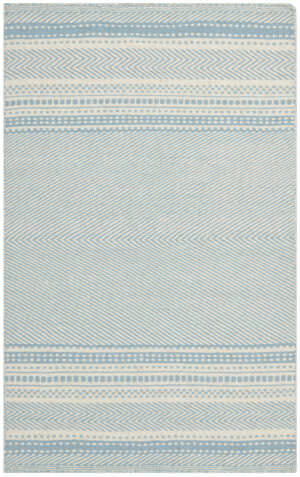 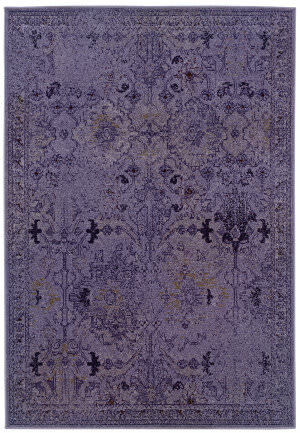 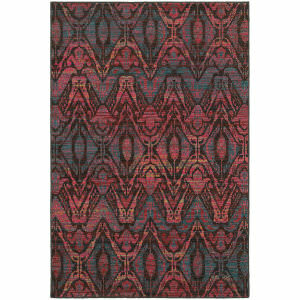 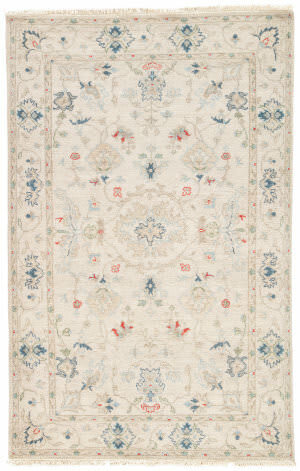 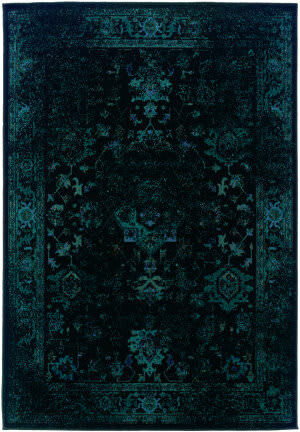 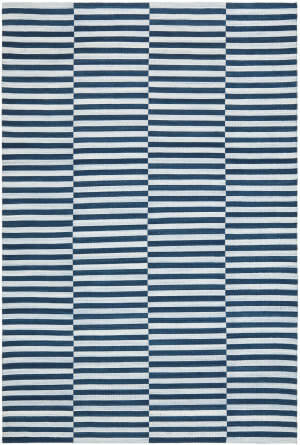 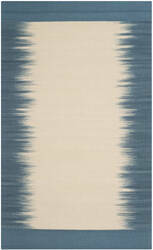 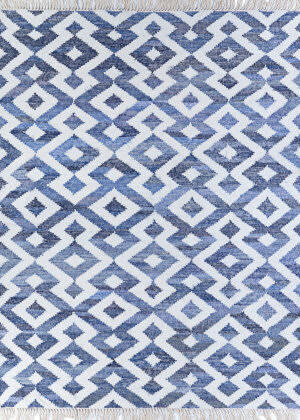 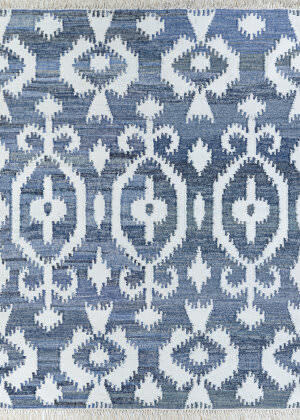 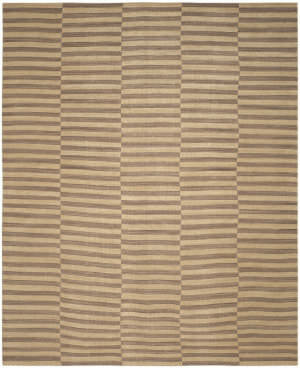 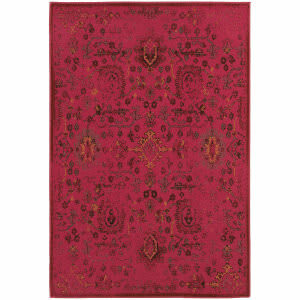 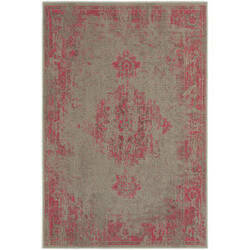 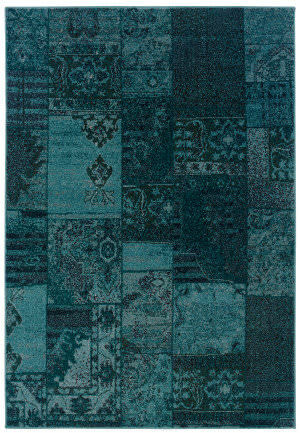 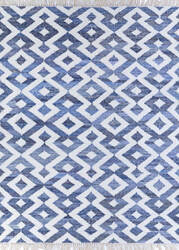 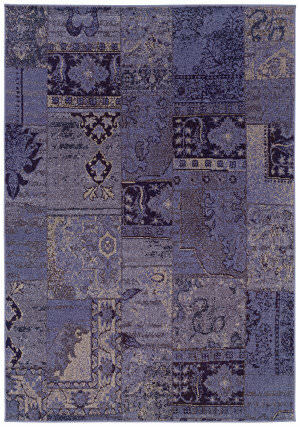 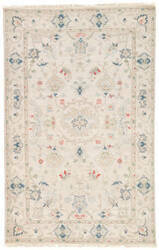 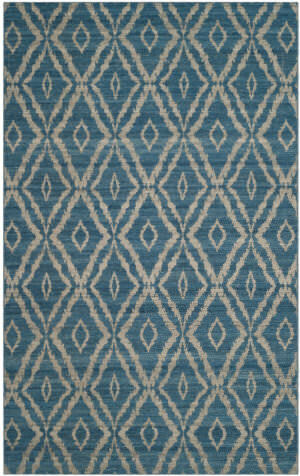 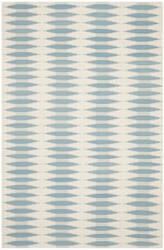 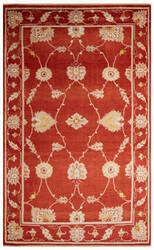 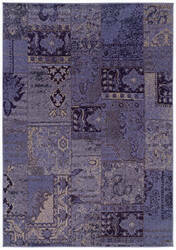 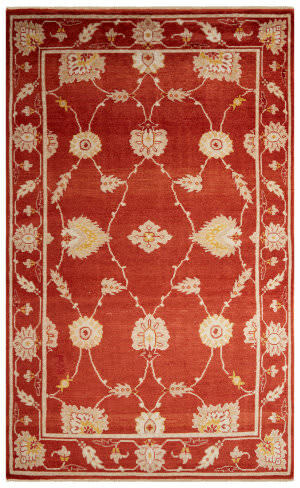 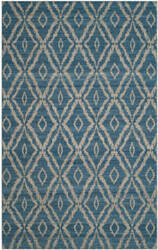 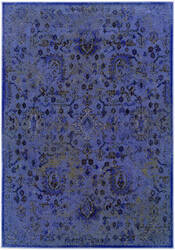 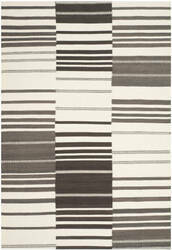 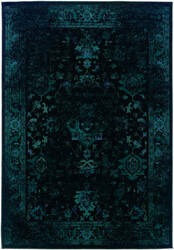 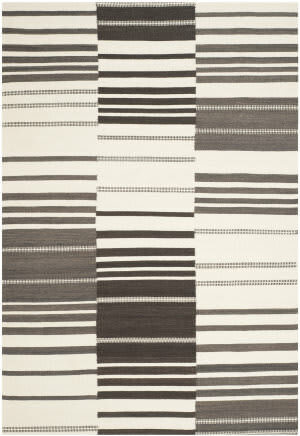 Hand-knotted by master weavers, this design is a modern revival of the distinctive stripe motifs of the Art Deco period.